The D500 is the long overdue and much anticipated update of the D300s, Nikon’s pivotal professional caliber crop sensor DSLR from the last decade. The D500 was introduced with a professional FX DSLR, just like the D300 was. In the case of the D300 that was in 2007, and it was the pairing of the D300 and D3 that reignited excitement in the Nikon DSLR line and kicked off some new technologies (EXPEED, for instance). Here we are nine years later and Nikon finally has done virtually the same thing, introducing the D500 and D5 simultaneously, and again introducing new technologies with these products, most notably a new autofocus system, but 4K video and other things, as well. The question on everyone’s mind for the last few years was “what happened to the D400?” Such a camera was anticipated for 2011, but never appeared. The Sendai earthquake and Thailand floods may have had something to do with the D400 never appearing, but whatever the reason, there’s been a long gap where the aging D300s held a lonely spot as the supposed top end crop sensor DSLR for Nikon. Sensor technology quickly passed over the D300s, unfortunately. The D7000, D7100, and D7200 all zoomed by the abilities of the D300s sensor and put quite a bit of distance on it. The D7200 was so good sensor-wise that many wondered if there was even a possibility of a pro DX body doing better. We’ll see when we get to the performance section later in the review. I’ve written several times in news stories and in my D5/D500 blog that the D500 seemed rushed to market. The D5 announcement was long anticipated and we knew lots of details about that camera prior to its launch. Like all the previous single digit pro bodies, the D5 was the test bed for the next generation of Nikon interchangeable lens camera technologies. But the D500 rumors didn’t seem to happen until the very last minute, when one of the initial shooters for Nikon’s marketing materials accidentally let something leak. In particular, the D5 has new advances (for Nikon) in low light pixel count, autofocus system, metering system, flash triggering, video, frame rates, card/buffer performance, and even the rear LCD got a big upgrade. It appears that sometime after all these D5 advances were all confirmed Nikon decided to attempt the dual camera launch that was so successful for them in 2007. They added one thing to the D500 that wasn’t in the D5 tech, though: a Bluetooth enabled SnapBridge for sharing of images. Worse still, SnapBridge work apparently really didn’t start in earnest until about a year before the D500 launch, putting it on the critical path to shipping the product. Personally, I think trying to make a mini-D5 with SnapBridge proved to be too big a challenge for Nikon to get done in the timeframe they had available to them. D500 prototypes were really late to show up in the real world—just prior to the launch announcement—and once the camera was announced we had a series of bumps in the road: production delay, battery/card issues, unexplained lockups, and half of the necessary software for SnapBridge missing, for example. That said, the D500 was a rousing early success, much as the D300 was. 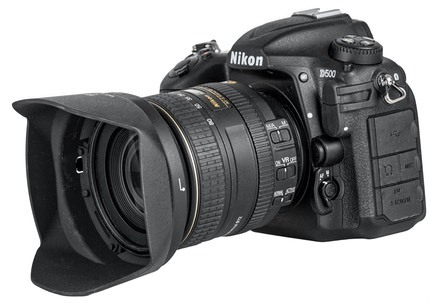 Having a true professional Nikon DSLR back at the US$2000 price point in the DX smaller body form is something I long predicted would be extremely well received, and the D500 pre-orders far exceeded what Nikon was able to deliver, even after a month delay in first shipment. Even as I write this, the D500 body-only option tends to be in short supply, though the D500 plus 16-80mm f/2.8-4 kit still seems to be readily available. So much of the D500 is new that’s almost like we need to start from scratch. 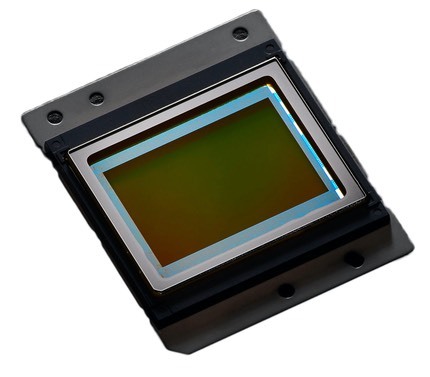 Internally, we have a state-of-the-art, Sony-made, CMOS sensor that generates 20mp. 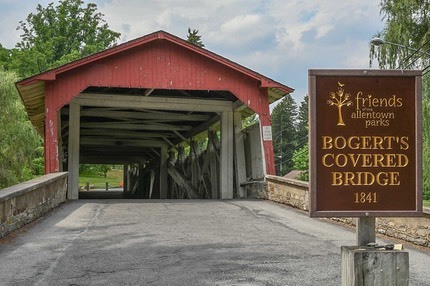 This number matches the 20mp in the D5, but is curiously lower than the 24mp in the D7200. From all appearances, the D500’s sensor is the latest Sony copper-wire Exmor with dual gain, but with a different photosite size (and thus pixel count). The question, of course, is whether that new sensor outperforms what’s come before it. Data from the sensor moves through an EXPEED5 image processor that’s been refreshed and tweaked for performance, and that data then moves to either an XQD card or UHS-II type SD card (you can use slower SD cards, but I’d strongly recommend against that if you want to really push this camera towards what it can do). Write speed to cards is essentially state-of-the-art on a D500, but the image chain is so fast that the card write speed is still probably the biggest bottleneck to performance. But boy, what a bottleneck: the D500 has a 200 image buffer with a state-of-the-art XQD card. Both the autofocus and the metering systems have gotten massive makeovers. Most people realize that the autofocus system did, but didn’t realize how much changed in the metering. 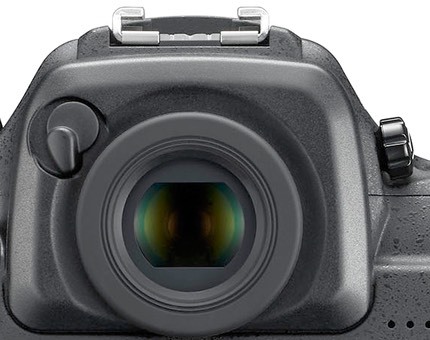 The new autofocus sensor part pushes the spread of the autofocus sensors just about as far as they can go in a mirrored system (above), and that means they almost fill the DX frame. We’ve now got 153 detection areas, 99 of which are cross point (versus 51 and 15 max in previous cameras). 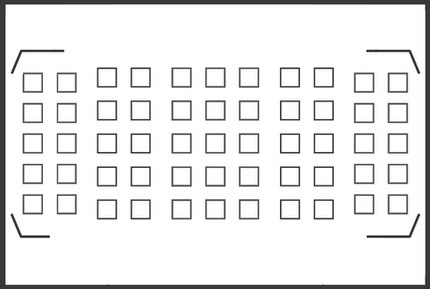 While we can only choose 51 of those points, the new sensor has “in between” points that are active in most modes and help with focus discretion. The autofocus sensor itself now gets a dedicated CPU, meaning that it’s processing the initial data stream before sending it up to the bigger system for final decision making. The focus system is acting on much more data, and faster. The mirror blackout time has been reduced, meaning the autofocus sensors are seeing what’s happening in front of the camera more of the time when you’re shooting fast bursts of shots. The actual detection areas are improved in sensitivity. At the central sensor you can focus at -4EV, a new record for a Nikon DSLR. The net result of all the above is that the D500 can shoot at up to 10fps with accurate autofocus while producing 20mp images that stay looking good in lower light than previous Nikon DX DSLRs. This is pro caliber stuff, not a cut-down consumer version. The D500’s metering system now has a 181k dot image sensor of its own, and that’s integrated with focus data. The D500 has face detect autofocus in some shooting modes (e.g. 3D autofocus), plus it has face detect in metering, as well. The D500’s metering system also has flicker detection, so shooting under frequency-based lighting no longer has to give you sequences of shots with mismatched color. All these changes are starting to add up into a powerhouse camera, but we’re not nearly done with the list of changes. I mentioned lower blackout time; that’s due to a new 200k tested shutter, and that shutter is timed with the sensor so that it can support electronic first curtain shutter, ala the D810. Shutter lag remains at 50ms, which is about par with all the pro cameras at the moment. Coupled with the internal memory, if you use the latest generation of XQD card in the D500 you’ll get a whopping 200 image effective buffer. Yes, that’s shooting 14-bit Lossless Compressed raw files, not highly compressed JPEGs. At 10fps, that’s 20 seconds of continuous action that can be recorded. Good thing that autofocus system was remade for such situations. You might be surprised to find that the D500 weighs slightly less than the camera it replaces. Nikon uses the carbon fiber front and shutter box method that they’ve pioneered with their other DSLRs lately, which actually provides a more rigid front frame than the earlier all metal frames did. The top and rear “frame” are still magnesium alloy. Meanwhile, we’ve got some changes in the viewfinder and LCD, too. The viewfinder gets 1x magnification (up from .94x), though that comes at the expense of a bit of eye relief. Eye glass wearers might not be able to see the image area and information area below it at once. But the other good news here is that we now have the round pro eyepiece with built-in shutter (for use in long exposures or when not attending the camera, as the metering sensor is in the viewfinder). The rear LCD goes from 920k dot 3” (D300s) to a whopping 2.36m dot 3.2”. That is a boost from VGA size to XVGA size. It’s also more than double the pixel count of other recent Nikon DSLRs, which means that image review and Live View look better. But that LCD is now also touch sensitive. Curiously, Nikon didn’t implement touch-sensitive menus. Instead, touch can only be used for data entry, image review, and touch-by-focus or touch white balance in Live View. 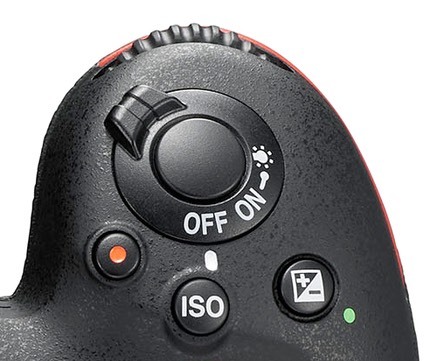 Buttons and controls on the D500 mimic that of the D5, including the addition of the thumbstick for controlling autofocus sensor position as well as the new Fn2 button on the back. A dedicated ISO button is now behind the shutter release. What’s missing in the D500 is a built-in flash. This is the first small Nikon DSLR where we don’t have a pop-up flash (okay, technically the Df doesn’t have one, either, but it’s not one of the mainstream Nikon smaller bodies). Instead, we have support for Nikon’s new radio-controlled flash system (SB-5000). But you’ll need a WR-R10 connected to the 10-pin connector to control external flash via radio. Likewise, the WR-R10 and WR-T10 pair are now the preferred wireless remote option for the D500. What most people miss is that you can put a less-expensive Speedlight SB-500 in the hot shoe and the D500 can perform commander mode with it (in the optical wireless method Nikon previously used). This provides a useful option for those already invested in the optical-oriented Speedlights. Much more lurks everywhere you look: back-lit buttons, extra buttons (Fn2, thumbstick press), tilting LCD, USB 3.0 connectivity, and Bluetooth coupled with NFC Wi-Fi. That last one is what Nikon is now calling SnapBridge. Unfortunately, only Android users can take advantage of it at the moment, and the SnapBridge app seems somewhat immature at this point, too. Still, you can configure the D500 to automatically transfer images to Android devices wirelessly, or perform basic control of the camera from that mobile device. iOS support is promised, but seems to be on an ever shifting schedule for availability. All in all, there’s very little missing on this camera. It’s well specified in almost every area. Some will miss the built-in flash of earlier Nikon models, others will enjoy the new radio wireless flash abilities. The D500 is made in Thailand. Nikon’s Web page for the camera. In Nikon’s usual confusing marketing messaging, the D500 is listed in the Enthusiast DSLR category instead of the Professional DSLR category on their Web site. This review is based upon a personal camera bought through NPS, a camera I later bought from a dealer, as well as handling and use of four other bodies that I borrowed. Yeah, you guessed it: cheese shuffle. Quite a bit of it, actually. Let’s start with the camera controls. That pesky red Record Video button has just caused Nikon fits. Nikon apparently wanted to preserve the ability to shoot video but take a still during the video recording (actually, not “during” as it cancels further recording, but still, someone at Nikon was optimistic ;~). Ugh. Just messy. The result is that we got a Record Video button. But that took up room up top near the shutter release, and Nikon users were clamoring for some additional controls, most particularly an ISO button. After all, Canon has four overloaded buttons up there. 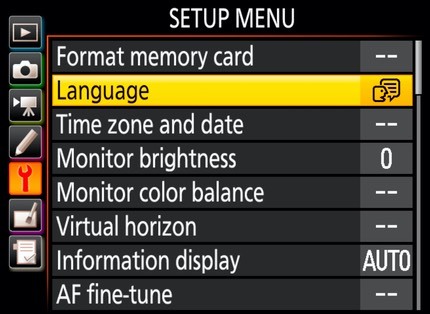 So in version two of Nikon’s designs we got the ability to program the function of the red Record Video button: i.e. change it to ISO. Problem solved, right? Apparently not. Because the D5 and D500 both feature a dedicated ISO button behind the shutter release, effectively moving the Exposure Mode button somewhere else. But guess what? We can program the red Record Video button to, yep, you guessed it: Exposure Mode button. Now one can argue that Nikon is really giving us what we want here. That’s good. But one can also argue that Nikon has no idea what its users really wanted in the first place and is now rapidly running around making patches to patches. I actually don’t have any problem with where we’ve ended up in this particular button shuffle, but it has been painful getting here. And let’s hope that “here” is the final “here” and not just another stop on the top plate button shuffle. If you use a D810 and a D500, you’re going to have some issues with finding buttons by feel as you switch between cameras, and you’re going to want to do some button function programming to get the two cameras as close to the same as you can. The good news is that the D500 buttons/controls very nicely mimic those of the D5. Moving between those two cameras is a breeze, so let’s hope that we get the same design in future high-end Nikon DSLRs and the buttons/controls are now in predictable places for a while. Where the cheese shuffling is quite problematic on the D500 is in the menus. Some of what Nikon did I agree with, some makes little sense to me, and still other decisions seem arbitrary. Plus we have a couple of oddities that didn’t move but most certainly should have given Nikon’s other choices. What am I talking about? Well, two things: priorities and placements. Let’s start with placements of menu items. We have at least five former Custom Settings that have migrated instead to the SETUP menu (Beep, MB-D17 Battery Type, Battery Order, Slot Empty Release Lock, and Information Display settings). I question two of those migrations (Beep and Information Display settings). Why? Because I might want to set those in a Custom Settings bank situationally, and now I can only change them camera wide. I also question why File Number Sequence is still stuck within the banks, where you could end up making a non-system wide change you almost certainly wouldn’t want (i.e. file numbering becomes linked to the bank used). Some new placements are meaningful: the new Flicker Reduction setting on the PHOTO SHOOTING menu makes sense, as it only applies to regular still shooting (the other Flicker Reduction component moved to the MOVIE SHOOTING menu because it only applies to Live View type shooting). Okay, that made some sense, though they really need different names. But Auto Bracketing Set migrated from Custom Settings to the PHOTO SHOOTING menu. Hmm. Yes, I can set that in banks in the PHOTO SHOOTING menu, but it’s now separated from the other two bracketing options settings, which are still in the Custom Settings! So I can’t easily use a single bank to do a full configuration of the bracketing. Seriously, someone had the great idea to include banks in the pro cameras many, many moons ago. Apparently that was the only insight they had and no one else at Nikon knows what to do about banks to make them more useful. Message to Nikon: we all want to be able to change the camera from one bank setting configuration to another (both PHOTO SHOOTING and Custom Settings) with a single control. Can’t do it (we can assign PHOTO SHOOTING banks to a programmable button, which is a start). But when things start migrating between menus, some of which have banks and some of which don’t, it just makes the banking mess worse. Seriously, Nikon? Language is the second most likely thing I want to change on the SETUP menu? Time/Date is third? This is pushing menu options that I use regularly off the first page of the menus (and the touchscreen doesn’t help me navigate the menus faster ;~). Yes, I complain a lot about these little things, but they’re important to someone who uses multiple Nikon bodies, and they’re important to getting a camera dialed in so that you can do virtually anything without having to spend a lot of time navigating huge menu option trees. The D500 is a pro camera. It deserves a real, serious, complete evaluation of how the pro handles the camera and sets things. Instead, we’ve gotten some scattering, some partial additions, some mixed up priorities, and a lot of cognitive dissonance if we move back and forth between a D810 and D500. For those of you in Tokyo reading this I’ll remind you that I’ve been complaining about the logic, hierarchy, and directness of these ever-expanding options for 20+ years now. You started with a bit of disorganization, and you’ve wandered the design through various other forms of disorganization since. This tells me that shooters aren’t actually very involved in making these decisions. Thanks for all the fish, but stop hitting me in the face with them. Okay, you knew that rant was coming, right? Funny thing is, if the D500 is your only camera and you take the time to really understand where everything moved to and what you can reconfigure, you can make the D500 into a very snappy shooter that works (mostly) the way you want it to. If I were to take the D500 in complete isolation—i.e. not consider anything that came before it and how we got here—there would be mostly good news on the handling front. But let’s remember that one of the reasons why so many of us gravitated to Nikon is the legacy respect Nikon tends to have. Unfortunately, not in the menus and now often not in the controls, either. Don’t get me wrong. I can live with the changes, but these are changes being forced on me, some of which I don’t think are necessary, some of which weren’t particularly well thought out, and some of which are just puzzling. This won’t stop me, or you, from configuring a D500 for fast, convenient shooting, but it’s going to take some study and time to truly get the camera dialed in; you can’t just move your settings from a previous Nikon DSLR and expect that to be optimal. Nor can you move back and forth between shooting any older Nikon DSLR and the D500 and be comfortable with all the changes. Another thing that people are going to struggle with in getting their camera set up perfectly is Nikon’s documentation, which also shows sign of haste in production. Consider this about Airplane Mode in the Menu Guide: “Connections to other devices using a wireless transmitter can only be disabled by removing the transmitter from the camera.” Uh, what? Nikon wants us to disassemble our cameras and remove parts? Someone didn’t manage to write “Using this function disables all transmitters in the camera and therefore conserves power.” Oh, and by the way, it doesn’t disable all the transmitters for practical purposes ;~). Wait until you’ve configured SnapBridge, set Airplane Mode to On, and then try to do a wet clean of the sensor. Oops. You have to set Airplane Mode to Off and then set Bluetooth to Off. Are you kidding me? In other places in both the manual and firmware, I’ve found just outright wrong or missing descriptions. So don’t necessarily believe what you read. Hopefully this will all be corrected with updates. Battery: If there’s a disappointment anywhere in the D500’s performance, it would be here. Whatever Nikon changed in terms of power management within the D500 in order to balance all the new demands (e.g. SnapBridge), it has consequences you need to be aware of. Moreover, Nikon tripped themselves up and some EN-EL15 batteries—labeled Li-Ion01—have decidedly inferior performance in the D500. So much so that Nikon will replace those batteries with ones labeled Li-Ion20 for free for D500 users. Funny thing is, those Li-Ion01 batteries work just fine in any other Nikon DSLR that uses EN-EL15 batteries, so it’s clear that whatever caused the battery recall, it’s due to the D500. I won’t go into long, elaborate details of my extensive testing in this area, but I will say this: using a Li-Ion01 battery in your D500 you’ll get a false report of charge remaining, and the camera will ultimately take fewer images with it. But even with the Li-Ion20 batteries that ship with the D500, there are some eyebrow-raising bits. If you’re just shooting with no image review, no active communications (e.g. SnapBridge), no WR-R10 mounted in the 10-pin socket, etc., then you’re going to find the D500’s shots-per-charge to be more than fine. In general in the bare bones shooting config I’m getting far higher numbers than Nikon indicates in their CIPA rating (1240 shots). Unfortunately, it seems that there is plenty in the camera that can undermine that. Any active connection in the 10-pin (e.g. WR-R10 for flash or remote use) really pulls the battery down fast (stop measuring in shots, start measuring in hours). Likewise, leaving SnapBridge enabled will also zap battery based on time, not shots. Connect to a PC (e.g. tethered shooting) and the D500 draws down the battery far faster than any other Nikon DSLR I’ve used to date (which is all of them ;~). Even LCD use seems to pull the battery down faster than it does on other Nikon cameras, probably because of the touch controls. And don’t forget Time-lapse or Interval shooting: I’m finding that the D500 has far shorter limits on how long you can continuously shoot like that than other Nikon DSLRs. It’s not that battery performance is bad on the D500. It’s disappointing, because it feels like a strong step backwards from where we were with the D810, which uses the same battery. Bottom line: you’ll need more EN-EL15s doing the same extensive shooting with a D500 than with the D810. You’ll need even more if you start exploring SnapBridge or try to use the radio remote flash capabilities. So stock up on batteries, and consider getting a good dual charger, such as the Watson that B&H sells [ad link]. Autofocus: It’s always difficult to quantify autofocus, because focus is such a nuanced thing and there are no standardized ways to measure performance. Indeed, I don’t know of any repeatable way to measure autofocus performance that doesn’t produce some variation in each repeated test. Thus, you’re stuck with anecdotal evidence and proclamations. Get ready for some more. Right up front I’ll say this: the D5 and D500 share the best autofocus system Nikon has made to date, and by a visible and recognizable margin. It isn’t a subtle difference, it’s a meaningful one. Focus basically is all about accuracy, speed, and tracking. To a lesser degree, it’s about options in refining the focus method, and in controlling what the camera is doing. In every one of these areas, the D500 (and D5) moves the bar forward. Accuracy. Is the D500 more accurate in focusing than, say, a D7200? In many cases yes, and that’s especially true off center (with some exceptions). A lot of this has to do with cross sensors. The D500 has 99 of them, the D7200 has 15. The D500 has cross sensors out to the edges, the D7200 has them all in the most central area. What this means is that the D500 often picks up on detail that the D7200 doesn’t with off center subjects. That said, there are lenses that defy this—the Sigma 18-35mm f/1.8 is one—where off-center focus accuracy with that lens on the D500 is decidedly poor. Fortunately there are only a few such lenses. With most of the lenses you’d use on the D500, focus accuracy just is more uncanny off center than with the D7200. Speed. This comes in a couple of forms. First, the speed of the focus motors in the lens are the ultimate decider here, but all those cross sensors and the -4EV capability in low light make the D500 clearly outperform the D7200 in very low light and contrast situations. The D500 just focuses “as usual,” while the D7200 will lag, hunt, or even fail to focus in such extreme cases. The D500, like the D5, has a dedicated focus CPU (the D7200 and other Nikons don’t). This, too, seems to make a difference in some situations, even well lit ones. Some of the old “lag to first focus” issues that Nikon had compared to Canon DSLRs seem to now be gone. You won’t see that will all lenses, but when you put one of the big exotics on the camera you start to notice it very quickly. Tracking. Here’s where I see the biggest difference. The first two attributes I talked about (accuracy and speed) take some very careful observation to notice, but tracking efficiency, you may notice that right out of the box. With a fast focusing lens (the 300mm f/4E is one example), tracking continuous subjects can be uncanny with the D500. Back when the D3 and it’s new autofocus system debuted, I was struck by how the color information integration into the focus system was able to do things like track a basketball player’s face out of the focus zone and back in. It wasn’t perfect at this, and you didn’t always get deadly accurate tracking with such big movement, but it was magic compared to the older Nikon focus systems. Well, things moved forward a couple more notches with tracking. With certain subjects—especially where we’ve got faces to detect and the camera is set to do so—tracking in 3D and Auto modes is now good enough to trust and use in many situations. If the camera figures out the right moving subject, it follows it relentlessly now. Moreover, it follows the right part of the subject most of the time. If focus got acquired on a bird’s head in 3D-tracking, it tends to stay on that head, even if the subject is moving diagonally to you. I’m not sure how Nikon pulled that off, but I’m finding that there are situations where I just want to trust the camera now. Not all situations, but I’m no longer avoiding the all or mostly all automatic modes now. With Single point, Group, d25, d72 the same thing applies: they track moving subjects better than ever before. Some of that is the extra autofocus sensors, which give the system more nuance of position in any given area than before (part of the accuracy thing, too). But a larger part has to be whatever’s in that focus CPU Nikon cooked up. Indeed, as many folk have discovered d25 and d72 can now be problematic for certain shooting situations because they're so fast at tracking. That, coupled with a slightly higher tendency to come back to the initial sensor selected means that people are discovering that Dynamic AF doesn't perform the same on the D500 (or D5) as it did on the previous models (e.g. D810). Most of this is how fast the dedicated focus CPU works, but it also is a bit of misunderstanding as to why the Dynamic AF modes worked for people on older cameras. Simply put, d25 and d72 are now wicked fast at tracking erratic movement. They appear to track truly erratic movement better than any previous Dynamic AF. But that's not what people were using Dynamic AF for in older cameras. Most were using Dynamic AF to handle modest, slower, and predictable motion, and to compensate for when they couldn't hold a subject steady in the viewfinder. In my sports shooting, I'm noticing that the D500 (and D5) react very quickly to truly erratic motion, faster than I could react. I will say this: Nikon seems wrong in their suggestions on CSM #A3: shorter tracking times now make the system too jumpy for me. In almost every case where Nikon has suggested a value of 2 for Blocked Shot AF Response, I’m using 3 or 4. The Subject Motion setting seems to be accurate to Nikon’s documentation, though. Controlling the autofocus system has improved, too, though this will take some study and testing on your part to get set right. We have the ability to program some “quick change” focus settings to the buttons and controls like the thumbstick. For instance, I can press the thumbstick and be taken to a completely different autofocus area mode instantly as compared to what I get if I press the nearby AF-ON button. If you’re one of those, like me, that use only a couple of autofocus area modes and bounce back and forth between them situationally, the D500 (and D5) make that child’s play. You can also block out settings you don’t use. There’s a great deal more flexibility in how you set up the focus system now. Coupled with the better performance, it’s like suddenly flying a jet instead of a kite. There are some limitations still. Once you get out to f/5.6 lenses on the D500 you start losing some key autofocus sensor flexibility (you’re down to cross sensors only in the central area). With the 800mm f/5.6 and it’s TC, you’re down to only 37 sensors total, of which 25 are cross. And if you’re at f/8 with another TC, you’re down to 15 sensors total (5 cross, 9 selectable). I don’t take these to be big liabilities, but it does put some limitations on long lens use with a TC. Dynamic range: I’m still trying to figure some of this out. The D500 has almost twice the full well capacity of the D7200, yet it clearly isn’t a stop better than the D7200. Indeed, the D7200 is slightly better in usable dynamic range up to about ISO 400, the D500 slightly better than the D7200 above that. Some of that is due to the dual gain nature of the D500’s sensor (it changes gain strategy at ISO 400). We’re easily over 10 usable stops at base ISO, and I’d tend to say that both cameras are very usable out to ISO 3200. From there to the highest ISO values you’re going to get differences of opinion depending upon who you ask. One thing that all the statistical measurements (e.g. DxOMark, Claff, etc.) you can find on the Web don’t tell you is about the nature of the noise that is produced. The D7200 was probably the first DX DSLR I’ve seen that had remarkably well behaved noise. Instead of blotchy noise patterns, when noise raised its head on the D7200 it was very random and grain like. This made some folk’s tolerance for higher ISO values rise. Well, the D500 is even better. Force it to produce nothing but noise and it looks remarkably gaussian, with virtually no banding or blotching visible even after extreme push. But noise turns some people off, no matter how random and free from additional artifacts it is. If you’re that type, I doubt you're going to find the D500 much better than the D7200, if at all. JPEG shooters, of course, can turn on noise reduction in the camera. The camera turns it on at some low level above ISO 25600, something Nikon doesn’t tell you anywhere, but was obvious to me in looking at my test shots. Personally, I don’t find those high values particularly usable, but I did find that I was comfortable with ISO 6400 and even 12800 with High Exp. NR set to Low. But an ISO of 1 million? Forgidaboutit. Likewise, the D500 isn’t equal to FX cameras. It’s a bit less than a stop behind the D750, which is about where you’d expect it to be if the sensor technologies were similar (and they are for the most part). All that said, the D500 is the best crop sensor camera I’ve encountered to date in terms of image quality. 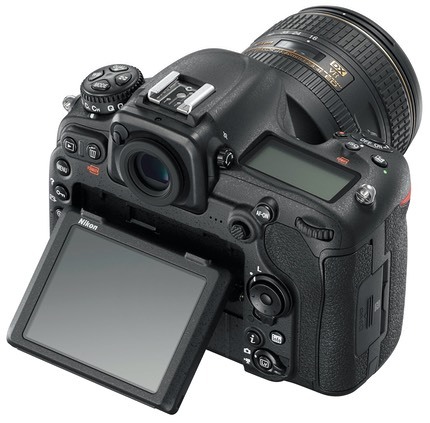 Not by much—the D7200 is mighty close—but enough to justify its position at the top of the line that already performs near state-of-the-art. EXPEED5 certainly is doing some things with JPEGs that are pulling out everything that the sensor is achieving, and it’s much more subtle on noise reduction than it used to be, while actually being better at edge acuity at the same Picture Control settings. Whoa, what happened? Well, we got the actual dynamic range of the camera back, that’s what. More so than most of the other Nikon DSLRs, the D500 seems to have plenty of highlight recovery in NEF files. According to the in-camera histogram, most of that sky produces “blinkies” in all three channels. Yet there’s barely any pixels above 240 (8-bit value) in the corrected NEF: about 330 pixels worth. More so than in previous Nikon DSLRs, I’m finding Nikon’s JPEGs to require more attention to get looking as good as they can be. The linearity adjustments Nikon makes in camera, especially at default settings, are a little much in my book. The shadows aren’t quite as open and have a bit more noise to them, the contrast, color, and linearity in the midrange is different (and not accurate to the actual scene), and the highlights are better than the original JPEG rendering, but not as subtle or textured as the NEF conversion. What I’m seeing with a lot of the initial D500 shooters is that they are underexposing because they get spooked by the Highlights blinking and in-camera histograms showing pegged pixels. If any camera needed an accurate RawDigger-like in-camera histogram, it’s the D500. You need to be really careful with this camera to truly expose to the right if you want everything it can give you, but the camera won’t help you at all with that. SnapBridge: Nikon promised a lot and delivered little. The premise here was an always-connected ability to move images from the camera to a mobile device automatically. Well, that works, sort of. For Android 5.x and above, and even then only a subset of devices that appear to have the attributes necessary (e.g. Bluetooth 4.0). Connecting the first time isn’t that onerous. Nikon’s managed to build an app and camera that handholds you through first time connection reasonably well. It’s almost mom-proof. But…making the actual connection is slow. Slowish in making the initial connection, very slow in reestablishing connections after devices sleep (as much as 10 seconds to reconnect in my experience). There’s little to no feedback about what might be happening as you wait for a connection to be made. In the default mode, SnapBridge uses Bluetooth to make the actual transfer of images. 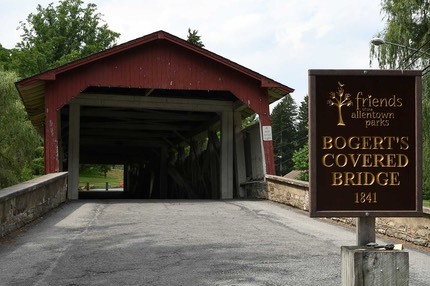 It deals with the lower speed of Bluetooth by first creating proxy JPEG images that are only 2000 pixels on the long axis, then transferring them in the background, even after you turn the camera off. For casual shooting, this works well enough. But if you think you’re going to use that capability for production, think again. With several hundred images in the queue waiting for transfer after shooting, my camera battery gave out before the transfers completed (plus there’s the issue of whether your mobile device has enough memory for a big rush of JPEGs like that. Oh, and then when you’ve got hundreds of images waiting for transfer, they’ll all have the wireless icon on them in playback. If you don’t manage to get the connection restored, those icons will be staring at you forever (in some playback modes they overlay part of the image). You can turn on Wi-Fi in SnapBridge to make faster transfers and transfers of full size images, but battery usage goes up, and the “automagicness” and seamlessness disappears. Note that the images only get to the gallery in the SnapBridge app on your mobile device; you still have to share those outward from the app if you want them on the Web or the cloud or wherever you intend them to be. We also now know why Nikon changed the GPS menu item to Location Data a few cameras ago: SnapBridge can provide GPS and time data to the camera via Bluetooth. Indeed, this seems to work pretty well, and is arguably a better solution than sticking a GPS device on the camera via cable. Unfortunately, every now and then, even on one of Nikon’s tested phones (Google Nexus), I had issues every now and again. Mostly dropped connections and slow situational awareness between the two devices, particularly when I wanted to control the camera from the phone. The bad news is that, despite all the hand-waving in marketing, Nikon has actually managed to take a step backward from where the D7200’s Wi-Fi was with the Nikon WMU app, and that wasn’t a particularly advanced app, just one that was decently usable for the transfer of images to the mobile device and the control of the camera from said device. I've never had the connectivity issues with WMU and the D7200 that I’ve had with SnapBridge and the D500. And don’t get me started on the missing iOS version of SnapBridge. Worse, SnapBridge comes with much more battery drain. Between the WR-R10 and SnapBridge, I started getting used to measuring battery life in hours, not shots. Overall, SnapBridge can at best be considered a work in progress. So much so, that I don’t think that the firmware programmers actually have talked to each other about it yet: as I noted earlier, Airplane Mode turned On isn’t enough if you want to wet clean your sensor: you have to turn Airplane Mode Off (!) and then turn Bluetooth Off directly. Nikon created a winner with the D500. It’s a shame that the initial production was marred with power, card, lockup, SnapBridge, and poor documentation issues. Fortunately, those things generally won’t tend to stop you from shooting with this powerhouse and producing excellent images. That said, the D7200 is a great DX camera and about half the price of the D500. You don’t get all the performance tech, but you still get a very competent daily shooter that held the flagship position in the DX line quite nicely until the D500 finally appeared. Coupled with its built-in flash, the D7200 is probably the DX camera most people should be buying. The D7200 is an excellent all-around performer and one you can’t overlook in considering the D500. Yes, the D500 seems to have an endless buffer compared to the D7200, and it shoots at a higher frame rate. Those attributes really aren’t needed except for a few very specific types of photography, though. Indeed, the new autofocus system sort of fits into that same mold: it opens up some new possibilities for sports and wildlife shooters coupled with better precision, but I had been shooting with a D7200 for those situations without feeling very restrained. In low light, yes, it appears that the D500 squeaks out a bit more image quality than the D7200. A bit. As in clearly less than a stop; maybe a third of a stop, maybe a half stop depending upon your noise evaluation tolerance. Many people won’t see the difference in actual output, though, especially given the 20mp versus 24mp difference in the two cameras. So what we really have now is an all-around great performer (D7200) and a very highly performance-tuned, better performer in specific situations (D500). You’ll pay nearly double for the extra performance (plus remember that you might need new cards and a new flash). I wish I could say that the video side changed enough to make that part of the buying equation. Yes, the D500 can shoot 4K (UHD) video and the D7200 can’t. But there’s the high crop of the 4K shooting method that makes wide angle cumbersome, if not impossible, given Nikon’s poor DX lens set (buzz, buzz), but I’m just not seeing that we gained much on the video side, if anything. 4K video can produce up to eight 4GB files if you try to record to the 30 minute limit. Meanwhile, at 1080P/60 I think the D7200 looks slightly better than the D500. Personally, I look forward to taking the D500 and the D7200 together to Africa later this summer. The D500 will be my main camera, but I won’t be worried when I have to pick up the D7200 with a different lens on it for some shots. No, I’m not picking on the D500. The D7200 is a great camera. I think you need to think carefully about justifying buying a D500 over the D7200, that’s all. Many of you may be able to do just that, but you’re all going to fall in the “performance junkie” category, I think. You’re impressed with incremental gains, and you’ll find clear ones in the autofocus, metering, frame rate, and even low light image quality of the D500. But some of these aren’t huge gains (e.g. low light image quality). Others can be important to some types of shooting (large shooting buffer, for instance). Let’s hope that Nikon doesn’t mess up the D500’s life cycle like they did the D300’s. A D500s in 2018 that adds features and sands off some rough edges would be welcome, and a full refresh in 2020 would be nice instead of waiting forever again. So Nikon’s done it again: the D300/D3 pairing was great, and so is the D500/D5 pairing. Very nicely matched cameras in DX and FX sizes, your choice with all the attendant benefits (or drawbacks, buzz, buzz* ;~).